In 2003, Rogers, who is also the founding co-chair of the Congressional Caucus on Prescription Drug Abuse, launched the not-for-profit Operation UNITE (Unlawful Narcotics Investigations, Treatment and Education) to combat substance abuse in 32 counties in southern and eastern Kentucky. The Rx Summit began in 2012 under the leadership of Operation UNITE and Rep.Rogers. Since that time, the Summit has grown to be the primary annual gathering for stakeholders to discuss what’s working in prevention and treatment. Over four days, S.A.F.E. 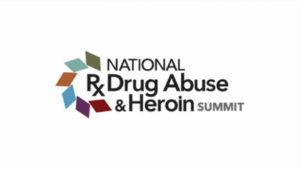 Project US staff and Rx Summit attendees will hear from national experts and local leaders on how they are accelerating success in their communities. Monday’s workshops included a deep dive into Data-Driven Initiatives to End Overdoses, including a fascinating presentation from Jeff Beeson, Deputy Director of the Washington-Baltimore High-Intensity Drug Trafficking Area (HIDTA) program about the Overdose Detection Mapping Application Program (ODMAP), a web-based tool created by the Washington/Baltimore HIDTA. ODMAP provides real-time overdose surveillance data to public health and S.A.F.E partners. The system links first responders on scene to a mapping tool to track overdoses to stimulate real-time response and strategic analysis across jurisdictions. The tool, released in January 2017, is now live in 27 states supporting over 300 agencies nationally.